MiCaja Puntored is a innovative POS system designed to help small unbanked merchants manage more efficiently their daily CashFlows. Each merchant registered to MiCaja Puntored receives a small credit-line which can be extended to its shoppers replacing the informal mom&pop credit based sales. Further more, it allows merchants to receive and make micropayments with transparent low cost commissions without opening a traditional bank account. 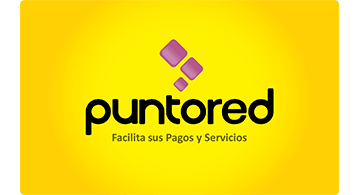 MiCaja Puntored is a spin-off of Conexred, one of the largest agent network in Latam and 2nd cash-payment aggregator in Colombia. Conexred has a strong footprint in Colombia and Puerto Rico serving over 7 MM unbanked clients/month with a broad portfolio of financial services: micro credits, collections/deposits, cash withdrawals, money orders, remittances, m-wallet cash-in and cash-out, business intelligence and electronic payment systems. The Company´s platform currently processes over 720K transactions per day and has strategic alliances with key players in the FIGs, Telcos, FMCGs and government helping them reach the unbanked population.